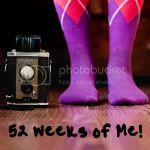 I know I am more than a week behind on my 52 Weeks of Me posts, but I am taking it day by day. Although I have been home from vacation for a week, I am still struggling a bit with getting back into the groove. Plus Harper starts back to school on Friday, so I am trying to wrap my head around the idea of going back to school. This also means only a couple more weeks until Miller starts kindergarten. Yikes. 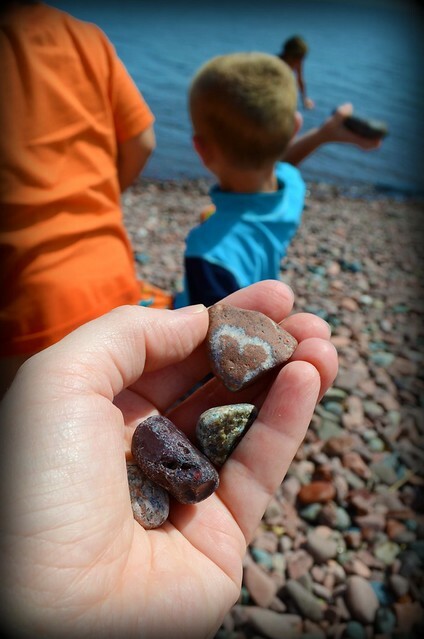 Harper found this rock while we were hanging out at Lake Superior one day. Can you see the heart? I loved the cute little rock, so I snapped a photo of it. I love that when we are on vacation it is so much easier to be present with the kids. When we are at home, I feel like there are always things to do and way too many distractions. I guess that is the beauty of vacation. I am trying to soak up the last little bit of summer vacation, so things may be quiet around here for the next couple of weeks. As soon as I find my crafty mojo again, I will be back with some crafty posts.